Original acrylic on canvas. 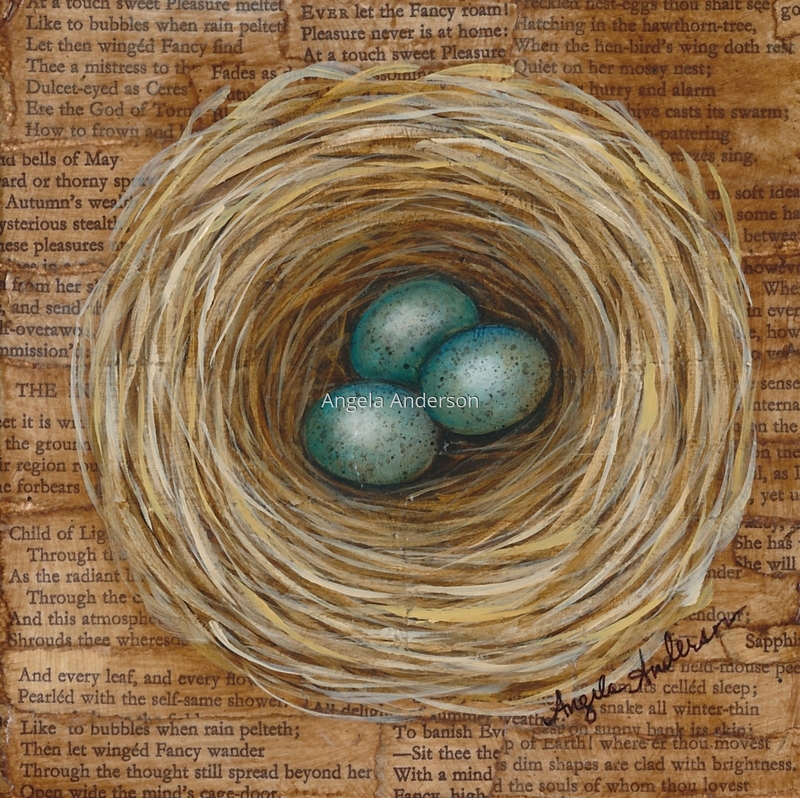 Mixed media with poetry behind a bird's nest with beautiful, speckled blue eggs. 5" x 5"6" x 6"7" x 7"8" x 8"9" x 9"11.625" x 11.625"